Easter, whether you’re religious or not, is the perfect time to get a large group of family and/or friends together to appreciate some good food! Whether you love a savoury main or look forward all day to the sweet treats, we have the perfect Easter food for vegans and vegetarians ready to inspire. 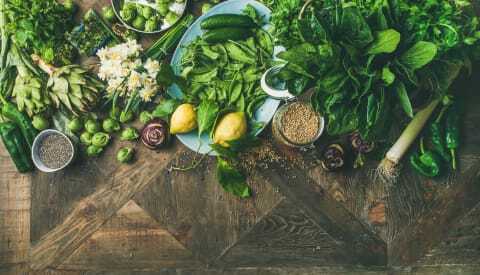 This month we’re not only focusing on good food that is traditional in the UK, but also around the world in the hope that it might give you some ideas for Easter that go beyond the classics. There’s nothing more traditional than a loaf for and Easter centrepiece. This one’s perfect for both vegetarians and vegans and is a bit of a show-stopper in terms of look and taste – if we do say so ourselves! 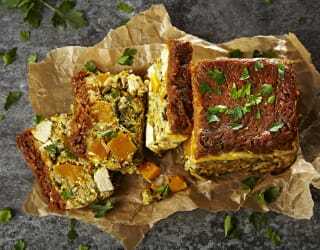 It has everything; from creamy tofu squares, squash, leafy greens and lots of crunchy pumpkin and sunflower seeds to a layer of melted cheese and a lightly spiced roasted carrot chutney. 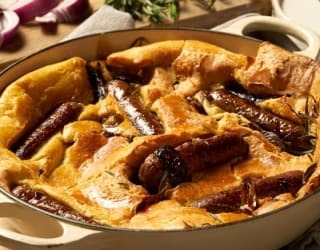 Sometimes at this time of year you’re still after something comforting, and there’s no better crowd pleaser than the classic toad in the hole! It’s quick, easy and perfect for sharing. Delicious vegetarian sausages and gravy paired with a soft but crispy Yorkshire pudding – what’s not to love!? 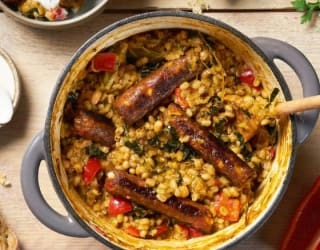 You can’t go wrong with a casserole, it’s a sharing dish that is perfect for just about everyone, and our vegan sausage and pearl barley casserole will be devoured by vegans, vegetarians and meat-eaters alike! This one pot dish takes only 15 minutes to prepare, so you can spend time with your loved one’s while it’s simmering. 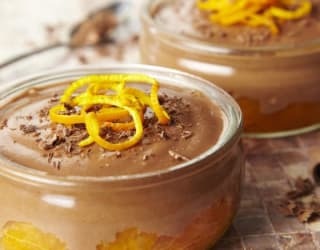 Just because you or your guests might be vegan, it doesn’t mean you can’t enjoy a decadent dessert made with chocolate! Our dark chocolate torte is perfect for any celebration. We’ve added tofu into the mix to create a silky smooth ganache – it’s bound to be a firm family favourite this Easter. Nothing says Easter like chocolate paired with a fresh and zesty orange flavour. Our chocolate orange tofu pot is as indulgent as it sounds, packed with flavour and perfectly creamy. Taking only 30 mins from preparation to cooking, this is a little pot of joy that can be enjoyed and shared without too much stress! If you’re not a chocolate fiend, or perhaps have had one too many eggs this Easter, why not try a classic! 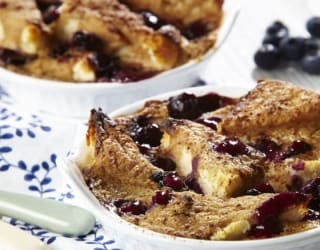 We’ve created a special vegan bread and butter pudding recipe using blended tofu for extra added creaminess. Bursts of blueberries and cranberries invite the refreshing warmth of springtime onto your plate – enjoy! Similar to the UK, it’s traditional in France to eat a leg of roast lamb accompanied by spring greens at Easter. Obviously we prefer a vegan or vegetarian alternative so if you’re looking for some French inspiration, why not try our vegan tofu minute steak with peppercorn sauce and pomme frites? Or for dessert try out a vegan cappuccino torte for a real Parisian Café feel! Like everything in Mexico, Easter is celebrated with great passion! They refer to the Easter period as ‘Holy Week’ which, like our Easter, changes year by year. After that is Semana de Pascua – ‘Easter Week’. Usually the period is celebrated with carnivals and food that is eaten is simplified, where many Mexicans opt for a meatless diet. Fish is permitted, but many go for light foods, such as our Pipian verde with pan fried tofu or vibrant foods such as our Mexican celebration peppers. Easter is a huge holiday in Italy. Named ‘Pasqua’, it is a joyous celebration steeped in tradition, rituals and processions. Since traditionally Easter sees the end of lent which requires limitations on food in Italy, the celebration of food plays a big part. Like France, traditional foods are lamb or gat, artichokes and special Easter breads. 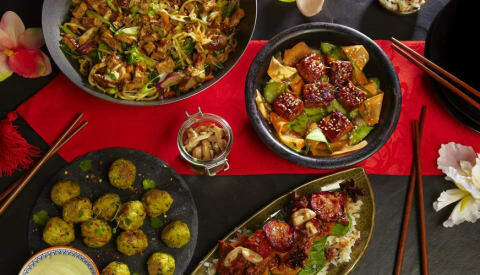 Why not try your hand at making a celebratory bread loaf or perhaps try a hearty vegetarian meatball dish? Bon Appetito! An obvious classic when it comes to Easter foods in America is cooked ham; it’s a very traditional centrepiece for our friends across the pond. Like many other countries, America are fond users of the chocolate Easter egg concept but also favour desserts like cheesecake when it comes to something a little less chocolate-centric. 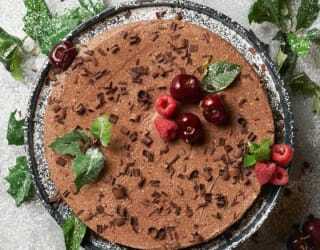 If you’re a vegan looking for a cheesecake that doesn’t compromise on creaminess, have a go at our baked tofu cheesecake with hibiscus and black cherries!